A significant step closer to space has been achieved. Rufsklubbens technical lead Oscar Hag has completed a six month master’s thesis, doing a comprehensive feasibility study for Rufs-I. The study was tutored by Sweden’s Astronaut Christer Fuglesang, who is also an assistant professor in particle physics at the Royal Institute of Technology in Stockholm. 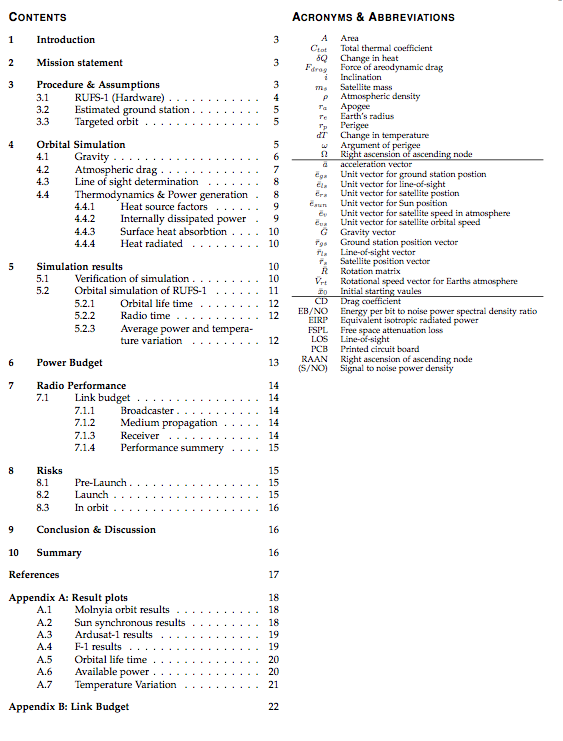 The feasibility study outlines a couple of different satellite configurations of Rufs-I, a link-budget and many other spectacular scientific calculations, assumptions and figures needed to take a cubesat with a small lion from earth to orbit.